I captured this image of Venus and Mercury in the evening sky. Mercury is very tough to spot, but easy if you happen to know it will be very close to Venus over a few nights. 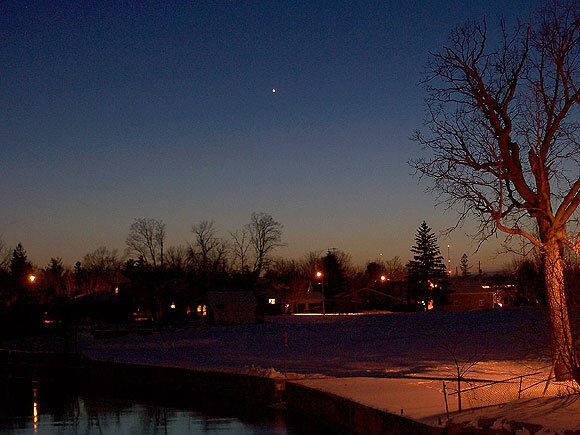 Venus is easy to see in this image but can you spot the tiny planet Mercury? Start with the big tree on the right. Look to the left of that on the horizon and there's a communications tower with three red lights. Look just to the left of that, above a street light, and just off the horizon.